Everything is waking up on this sunny warm day (15degC) in East Devon. Already seen several Brimstones, a Comma and Peacock butterflies in the garden. Next you'll be telling us you've heard a cuckoo as well! I'm going to have to move 'slow worm central' (the compost heap) as the new neighbours have put a bloody great shed up which means it's not getting much direct sunlight now. . Quite a task as it's about 1.5 x 1.5 x 1 m.
I've been regularly checking under the plastic sheeting covering it anyway but alas no shiny slow worms so far. I have looked under the covers a few days when it's been sunny, but the very warm day now seems to have brought them out. I didn't look today - which was n even better day. 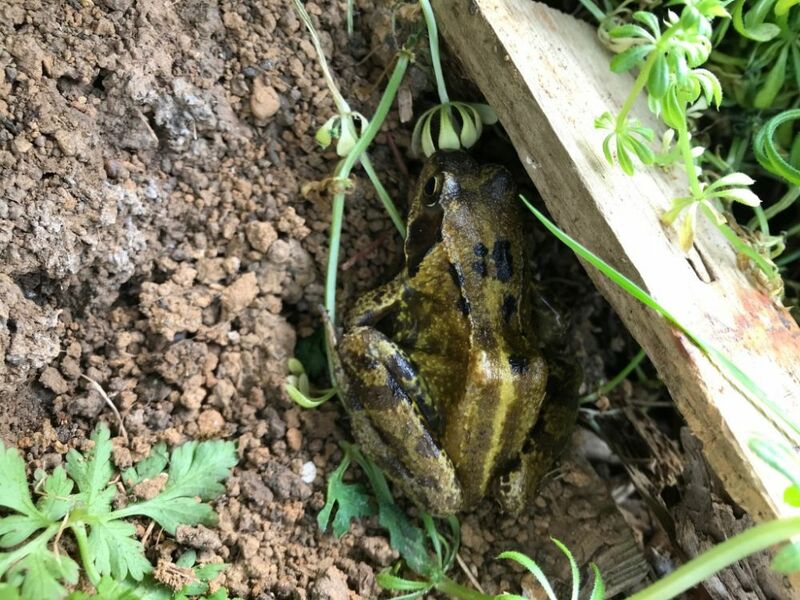 Sorry about your compost heap getting overshadowed. We are getting that with a neighbours' conifers which have both got huge. They did seem to top them for several years but now they're massive. They also cast shade over our veg garden to some extent. I would pay for them to be removed! Our compost heaps where those slowies are lose several hours sun because of the shade from their trees. Lovely to see Suz. 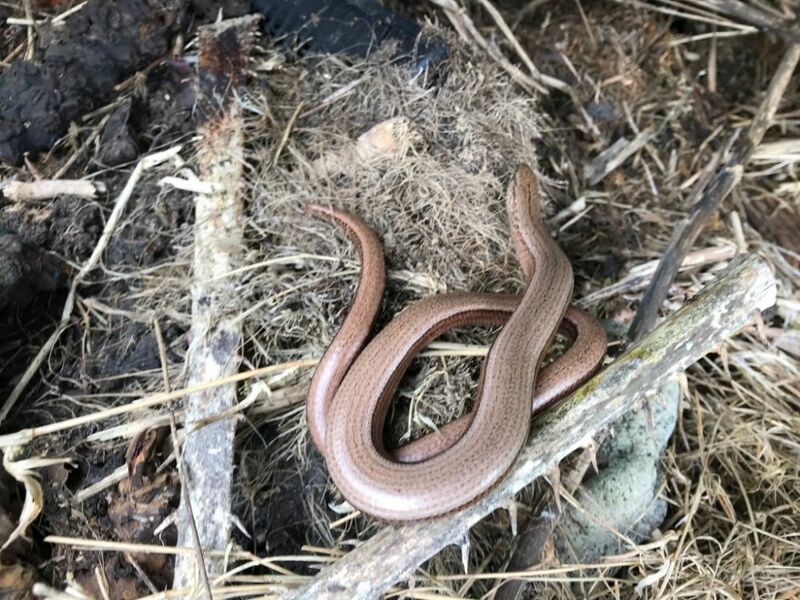 We've had one large male slow worm this year I've seen a couple of times under a sheet on the compost heap, two or three adult common lizards on felts in the lovely weather we had this week. Think activity is still a little low because despite the very warm day time temperatures we are still getting frosts over night. Good luck with the compost move Ben, was a time I wouldn't think much of moving or turning compost, these days though it is a daunting task. We might move ours soon, it is getting really decrepit and it would be easier to build a new one in a clear space then move the compost to it. Lucky you with the lizards Gemma. I've looked to see if our (one?) is about, but no signs. Yes the days are warm, but nights frosty. However all change today with rain and promise of more days of it. Still it is mild and frog activity in two ponds. Yep rain arrived here this afternoon, quite heavy for a time. Cooler but mild for the end of February. Can't complain about the rain, first year ever we had to top up the pond at this time of year, it is usually brimming over. This year though, I can only think of one other day it rained here in the past two months! First one of the year for me - nor a particularly nice day, misty but still, temperatures around 12degrees. 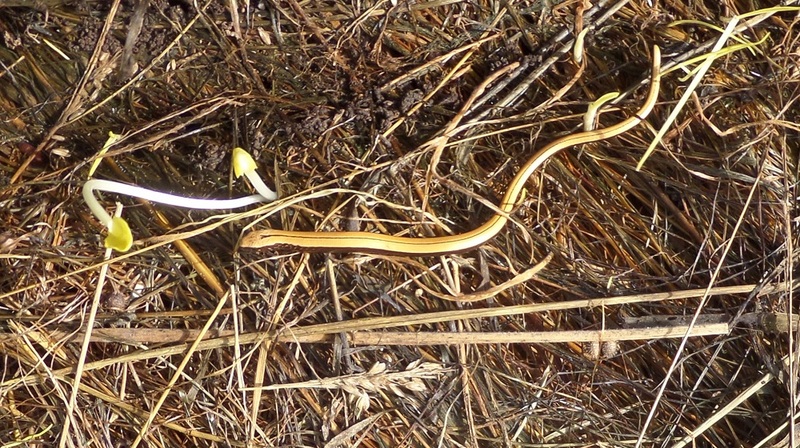 Dim cooler days are often best for finding slowies under covers as they try to warm up. 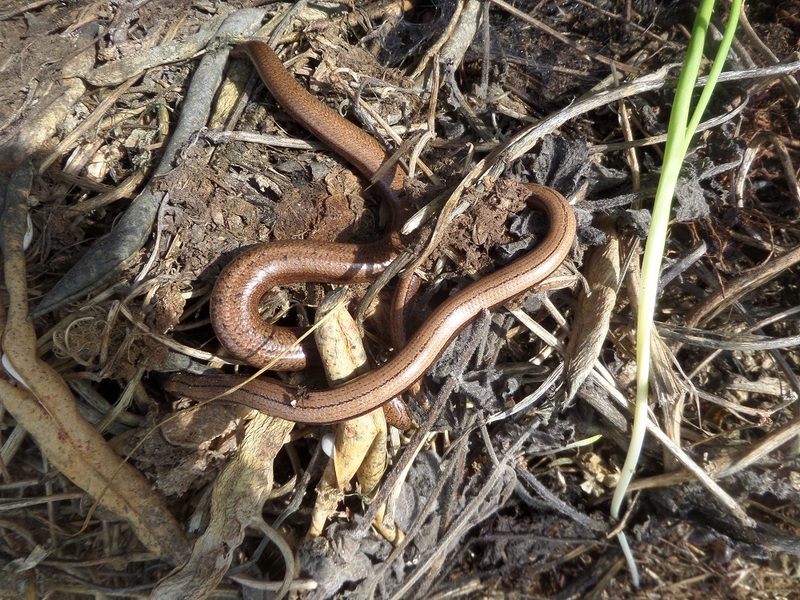 Though i've been scanning the ground and flipping likely-looking objects while i've been out and about, so far the only slow worms i've seen have been in the garden.